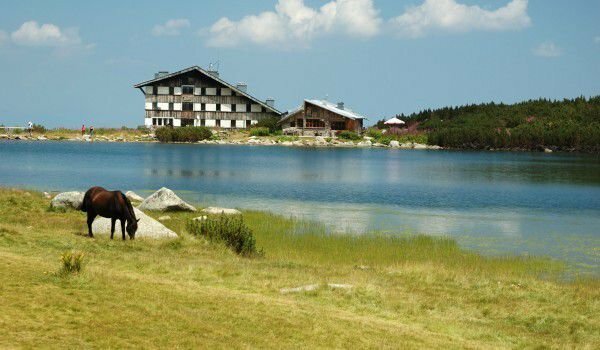 Bezbog Hut sits at 7347 ft (2240 m) above sea level on the banks of Bezbog Lake and is one of the newest and most modern huts in Pirin. It is actually the 2nd structure built in the immediate area, since the 1st was destroyed by an avalanche in 1971. The very next year construction began on the modern new Bezbog Hut, in the form we know it today. Bezbog Hut has a capacity of 146 across 5 stories. Rooms have 3, 4 and 8 beds, as well as single apartments. Each floor has shared bathrooms. There is also a TV in the hut. Heating consists of local radiator heaters. The hut has electricity and running water. 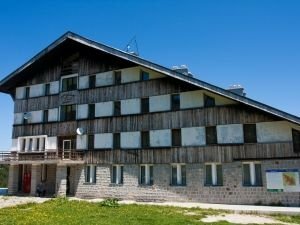 There is a restaurant, cafe, convenience store, kids' playroom, video system, TV, ski racks. Near the hut there is also a sports enclosure. Skiing is allowed. The area of the hut is avalanche-safe. A chair ski lift starts from Gotse Delchev Hut and leads to Bezbog Hut. Bezbog Hut is easy to reach using the lift. Gotse Delchev Hut serves as a starting point for Bezbog Hut, the hike takes 2-3 hours along a marked trail. 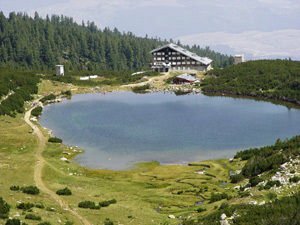 Reaching Bezbug Hut takes 25 min. using the lift. Bezbog Hut is managed by SOE Socialen Otdih - Dobrinishte.